C + T at Deer Park Villa — Penny & Co. Deer Park Villa is such a magical venue. 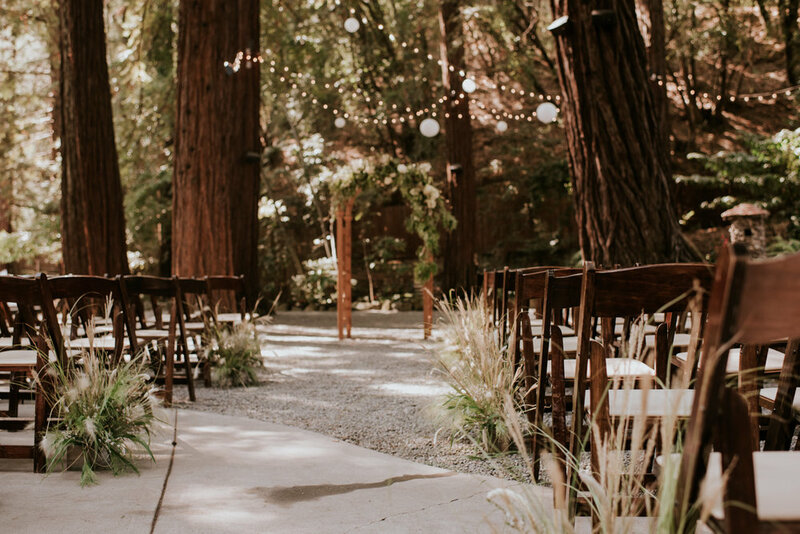 The redwood grove created the perfect enchanted forest setting for Craig and Tanny's wedding. Joyeux Events helped curate an event with so many personal touches that showed the couples personality. The typewriters you see in these pictures are actually apart of the grooms collection. 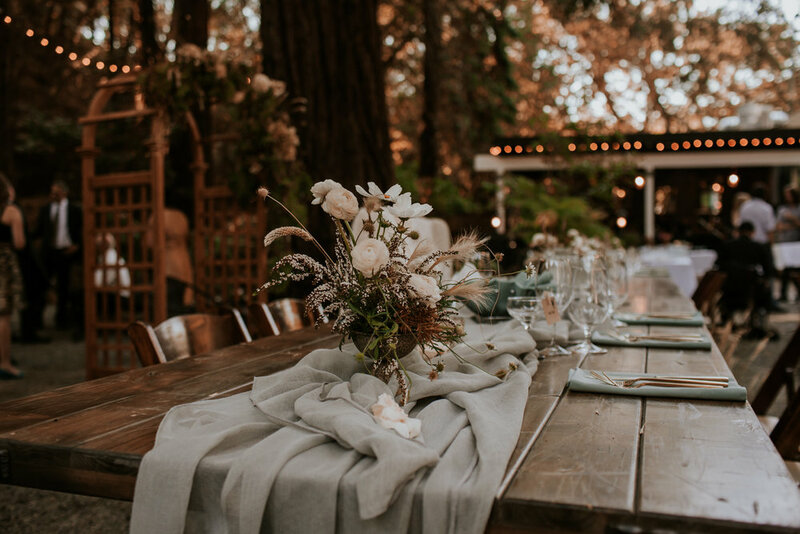 After the ceremony, the grove swiftly transformed into the dining space. Marin Cater provided delicious appetizers during cocktail hour. There was a beautiful cheese and fruit board as well as freshly made small bites being served throughout the venue. One of my favorite touches was how the arch Craig and Tanny were married at became the backdrop for there gorgeous sweetheart table. After dinner the party began! One thing I loved about Deer Park Villa was the space let guests create there own adventure, by choosing to dance the night away indoors, cozy up outside by one of the fires, or in this case hop in the vintage trailer photo booth and eat donuts in the space outside the grove.